Maitreesh Ghatak was educated at the Presidency College, University of Calcutta, Delhi School of Economics, and Harvard University, where he received his Ph.D. in 1996. He has been Professor of Economics at the London School of Economics since 2004, having earlier taught at the University of Chicago. He is the Editor-in-Chief of the Journal of Development Economics since 2009 and the Director of the research programme Economic Organization and Public Policy (EOPP) at STICERD, LSE since 2006. Earlier he was the Managing Editor of the Review of Economic Studies, and a Co-Editor of the Economics of Transition. 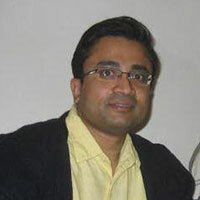 He is currently a member of the Executive Committee of BREAD, and a Lead Academic of the India-Bihar Programme of the International Growth Centre. He is a founder member of the research networks Theoretical Research in Development (ThReD) and Non-Profits, Governments, and Organisations (NGO). His areas of research interest are development economics, economics of contracts and organisations, and public economics. Current projects include the role of market structure in microfinance, land acquisition and compensation for displaced farmers, non-profits and social enterprise, and incentives and organisation design in public service delivery. From 'Mess in India' to Made in India' as a global brand? Mirror, mirror on the wall, which is the most dynamic state of them all?